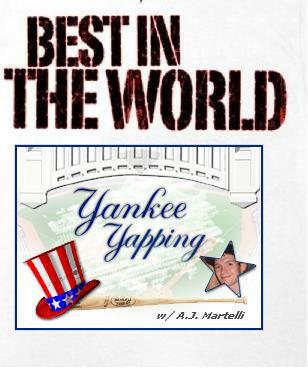 Look out, baseball world. The Yankees have caught fire. A power surge in the eighth inning of last night’s game led to a 6-4 win for the Yanks over the Atlanta Braves, the fifth consecutive win for the boys from the Bronx. The Yankees have now won 15 of their last 19 games and are in sole possession of first place in the American League East – a game ahead of both the Baltimore Orioles and Tampa Bay Rays. 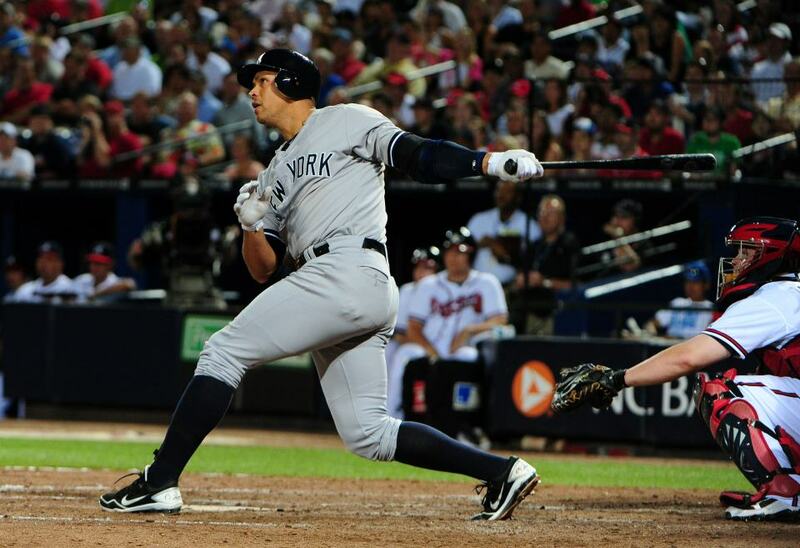 Alex Rodriguez did his best Superman impression, saving the day for his team. The Bombers trailed 4-0 in the eighth, and with the bases chucked, Rodriguez delivered. He launched a game-tying grand slam, a screaming line drive off reliever Jonny Venters that took practically no time to leave the yard. It marked A-Rod’s 10th homer of the season and his 23rd career trip to granny’s house, tying him with another Yankee, Lou Gehrig, on baseball’s all-time grand slams list. One more homer with the bases loaded, and Rodriguez is the all-time leader. 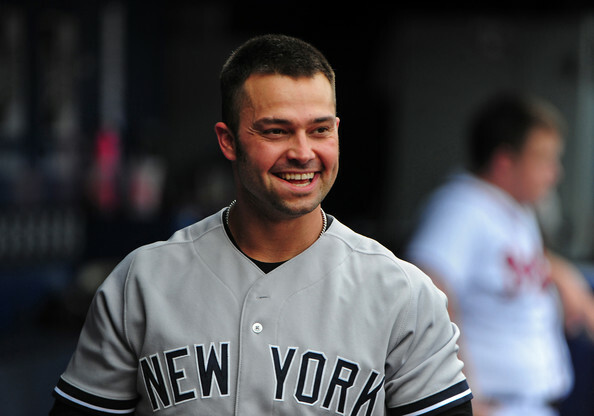 Nick Swisher then finished the job with a two-run homer later in the frame, his ninth of the year, to put the Braves away for good. 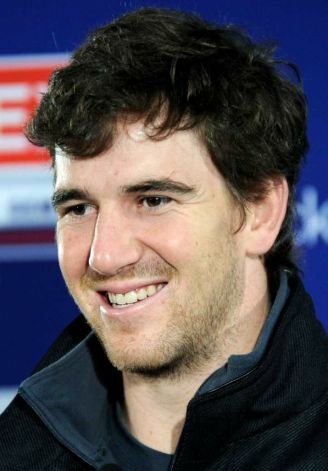 While the Swisher and A-Rod came through in the clutch last night, this week I had the opportunity to meet and interview (along with a number of other reporters) another New York sports hero who always comes up big when it matters: two-time Super Bowl Champion and MVP Eli Manning. 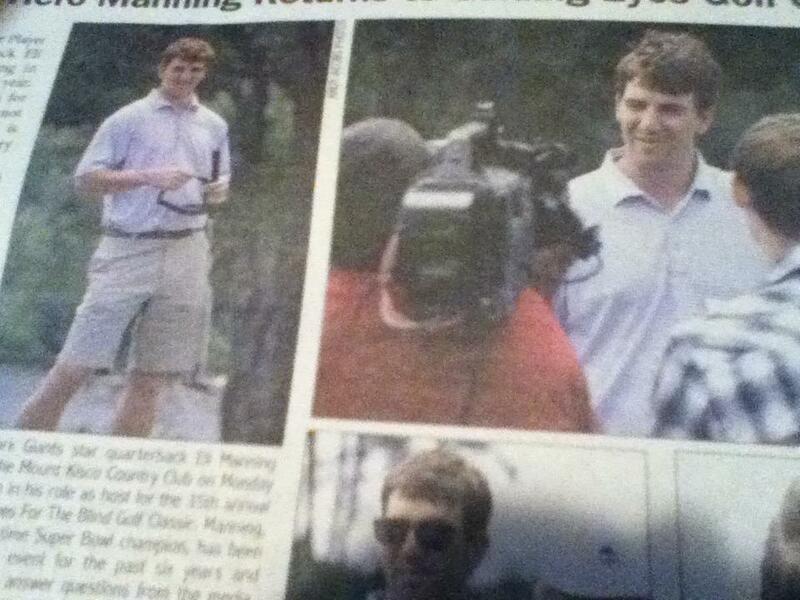 For the sixth straight year Manning hosted the Guiding Eyes for the Blind Golf Classic in Mount Kisco, N.Y. 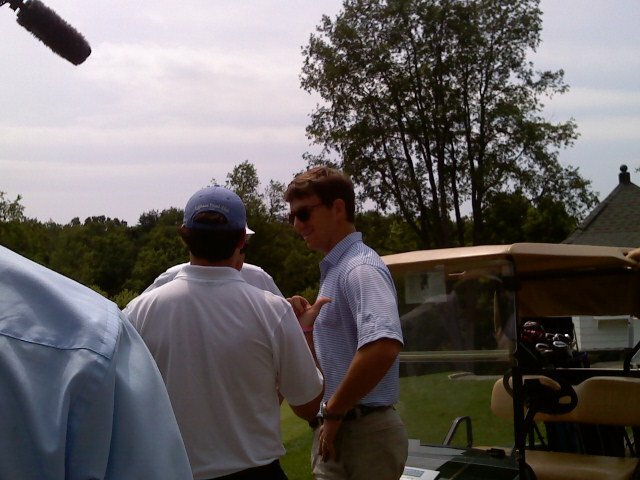 The Giants’ quarterback was asked by Pat Browne, a blind golf champion and friend of the Manning family from New Orleans, to attend the event six years ago. He happily accepted and each year since, he’s come back. When I got the call from my editor to cover Manning’s appearance at the golf outing on Monday, I was absolutely ecstatic. 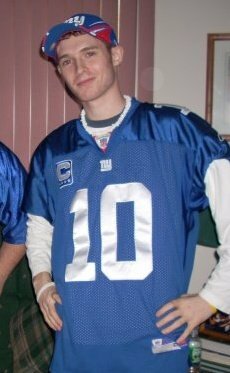 Obviously I followed the Giants during the regular season this past year, and certainly enjoyed their Super Bowl victory over the New England Patriots on Feb. 5. I arrived to the Mount Kisco Country Club where the tournament was held and there were a lot of other media outlets present – both local and national. The Journal News, Patch, News 12, the New York Daily News, and even ESPN were all on hand. Manning arrived and met with the press in what’s called a “media scrum,” or an informal press conference in which journalists/reporters gather around an interview subject and ask questions. On the High School sports scene, media scrums aren’t very common, so it felt extremely good to be a part of one among a group of fellow press members. That’s me…well, the back of my head, on the right, next to the cameraman. One reporter asked him about the recent arrest of teammate David Diehl, who was charged with a DWI earlier this week. 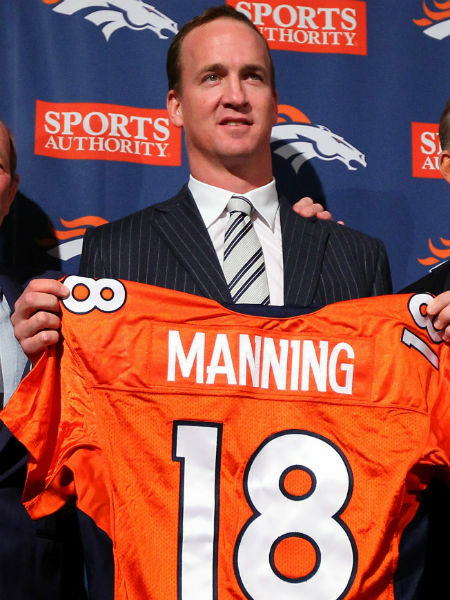 Not knowing a lot about the situation, Manning had no comment. After he fielded some questions, the reigning Super Bowl MVP then stood on the practice green for a demonstration. He sank a putt blindfolded, getting the feel for what blind golfers like Browne experience when they are putting. He felt attempting to golf without sight was more difficult than throwing a game-winning touchdown pass in the fourth quarter of a football game. I then got a chance to ask him how excited he was, being that not only was he at a good event for charity, but after the golf classic he was heading to mini-camp with the Giants. “It’s always been the day before mini-camp starts, so it’s an exciting week,” Manning answered me. “I heard Denver got a new quarterback during the off-season, and I heard he’s pretty good. 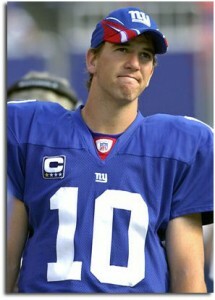 If the Giants happen to play the Broncos in the future, what are you going to be thinking about?” I asked. Manning kind of shot me that all-too-familiar “awww shucks” expression; he darted his eyes and smirked, right after I mentioned the Broncos. Manning, myself, and the scrum of reporters let out a good-spirited laugh. Overall, it was a great experience; one I hope to experience again with other big-ticket athletes. Manning was a great interview subject and it was a little bit of a challenge for me to keep my cool; maintain my excitement level (even as a reporter) being such a huge fan of his and the Giants. Because at the end of the day, that’s what I am: a fan.